I feel fall in the morning, but I still want to post those summer photos. 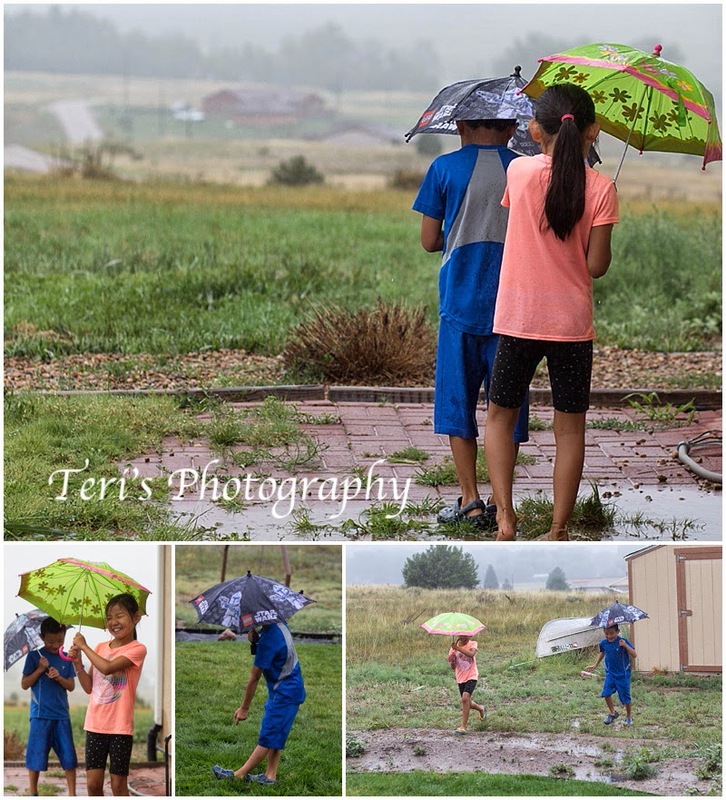 The ones where an afternoon rain shower was so much fun, simple fun. 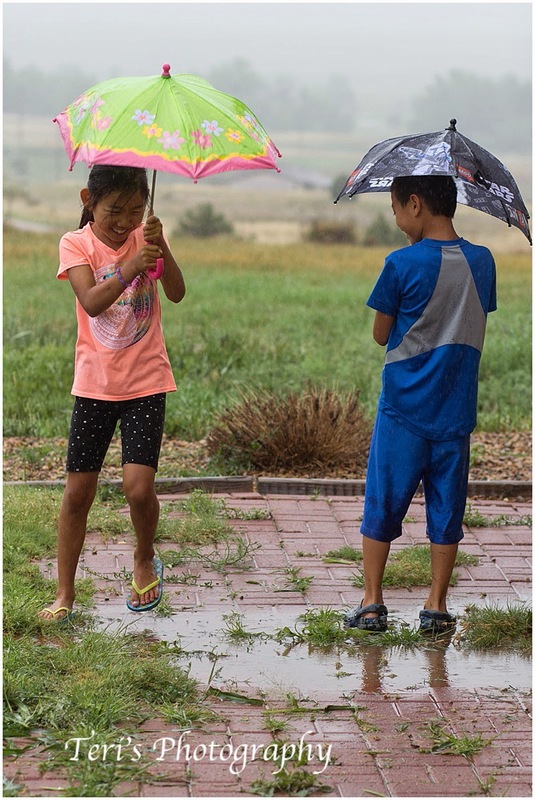 The rain shower where you could run through all those puddles with you sibling. A sibling that is laughing just as hard as you are. This summer we were so lucky and had a lot of these rainstorms. What great fun especially at seven years old!